South Downs Carpentry & Building - Builder, Carpenter based in Durrington, West Sussex. 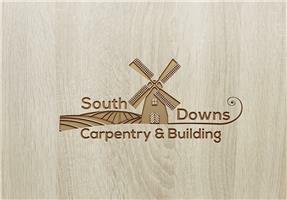 South Downs Carpentry & Building is the modern face of a company built on time served tradesmanship, education and experience. Over many years time served, I've worked my way up from a labourer through thick and thin to become a company owner who is fully experienced in all aspects of carpentry and building, property refurbishment, modernisation, conversion and extension. Having worked for such a variety of clients over the years, an unrivaled level of customer service has naturally developed. With a team of professionals at my disposal we are able to handle all manner or size of jobs, from complete from new built or more simple soft refit, such as new kitchens, doors, floors. Not only do we work in the domestic sector but also pride myself with the in depth knowledge of commercial property and office refitting. If you're further afield we quite happy to travel, in fact we cover a wide area from Portsmouth to Peacehaven and from the coast inland to Kingston on Thames.